Problems facing the coal sector have lowered the demand for mining jobs in Queensland. The freeze on coal imports into China and the prospects of a Labor federal election victory indicate much of the volatility is political rather than economic. This is evident in the “increasingly political” approvals process of Adani’s Carmichael coal in Central Queensland, the DFP job index stated. Vacancies in the coal sector went down by 7.2 per cent in February, pushing Queensland’s vacancies down by a further 4 per cent in February, following a continued month on month fall. 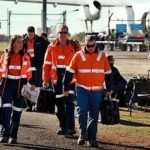 But the state’s resources sector was “already doing the heavy lifting” with more than 1300 jobs available on employment website SEEK, according to the Queensland Resources Sector (QRC). 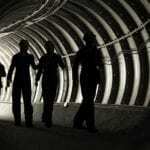 Job demand in coal mining fell 7. 2 per cent last month accordingly and its long-term trend is “disturbingly bearish”. 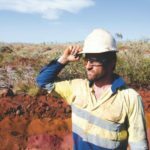 Conversely, labour demand in mining and petroleum engineering increased by 3.7 per cent in February, indicating vacancies have slowly recovered from a demand slump in the third quarter of 2018. Construction, electrical and mechanical trades also rose a further 5.3 per cent in February, an upward trend that has persisted during the last quarter. Meanwhile, Western Australia is holding up well and continues to increase its market share of national opportunities. 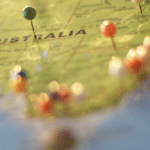 “It is not a matter of Western Australia expanding but rather Western Australia remaining steady while other states fall,” the DFP job index stated. Job vacancies in the mining and resources sector in February suffered a small decline by 1 per cent, concluding a 12-month period with a rise of just 1 per cent. Permanent job opportunities have risen 6 per cent while temporary and contract roles have fallen by 6.5 per cent on an annual basis.